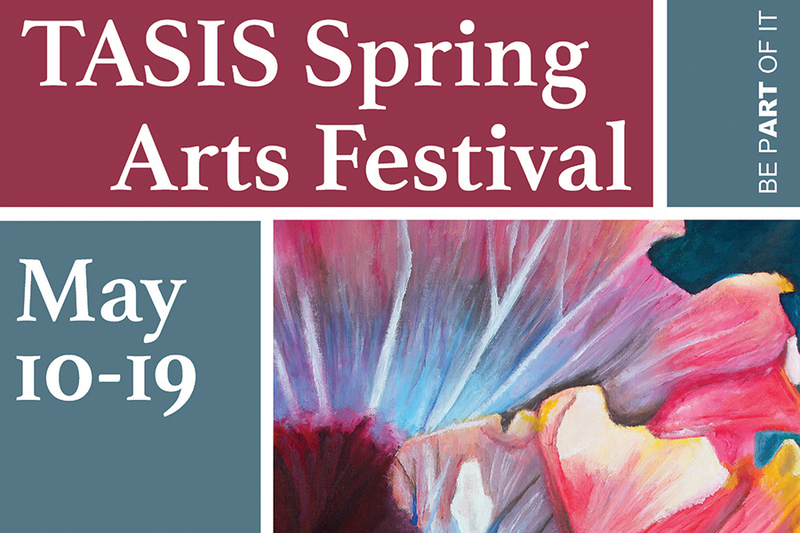 The 45th annual TASIS Spring Arts Festival will open with a Kickoff Event in the Monticello Piazza at 10:10 on Friday, May 10, and conclude with a Closing Celebration in the Palestra at 17:30 on Sunday, May 19. All members of the TASIS community and the general public are cordially invited to campus to enjoy concerts, theatrical performances, dance performances, film screenings, visual arts exhibitions, guest lectures, art workshops, and more. See the full schedule of events below. Community members may be particularly interested in attending the festival on the afternoon of Sunday, May 19. Local food trucks will be on campus from 13:30–17:00 and there will be a number of exciting art workshops and interactive performances designed for guests of all ages. For those interested in learning more about TASIS when they visit campus, guided tours and information sessions with School administrators are also available upon request. Please contact the Admissions Office at admissions@tasis.ch or +41 91 960 5151 to schedule an appointment. Student and faculty exhibitions are open to the public from Friday afternoon through Sunday afternoon. For further information, please email arts@tasis.ch.